Located at the University Services & Research building on Capitol Drive, the UWM Surplus Program helps manage unwanted furniture, equipment & computers from campus. This is achieved by either finding a new use for items in another department, selling them online to the public, donating them to area non-profits, or recycling them as scrap. Due to the cost & risk of this type of recycling only university purchased materials may be included, and non-UWM individuals may not donate surplus items. The surplus program is designed to reduce campus clutter and find a way to repurpose or recycle items. If you have unwanted items that your office or department need to get rid of, simply fill out the Surplus Declaration Form and tag the items for surplus. It is imperative to provide inventory tag number for capital equipment which has an acquisition cost of $5,000 or more and a useful life of at least two years, whether purchased outright, acquired through a capital lease or through donation on the Surplus Form. Capital equipment includes certain constructed or fabricated items and certain component parts with an aggregate value of $5,000 or more. It does not include real property (land), software or liability holdings. More information can be found here. Please read all instructions on the page before declaring surplus. In order to keep the surplus program viable, there is a $40 handling charge to departments for each surplus submission. In order to save costs for UWM departments, some surplus items are kept for new campus use, and reuse between departments is encouraged. There is a regular, but alternating inventory of desks, tables, filing cabinets, chairs, bookcases, and office supplies based on what has been surplused. 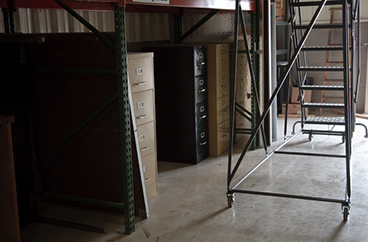 These items are stored at the University Services and Research Building. All items are available to the campus at no charge, but pickup is the responsibility of the recipient through personal means or by putting in a Work Order with Facility Services. To see what is available, please contact UW-Milwaukee Surplus at uwmsrpls@uwm.edu or 414.659.1391. View by appointment only. Since the supply of surplus items exceeds our available campus space, some items are sold on public auction. All sales are handled through GovDeals. Here we offer an open bidding process to the public. All items purchased are available for pickup at the University Services and Research Building. All surplus is handled according to the State Procurement Manual. Sales to state employees are prohibited unless items are sold at announced public sales or auctions. GovDeals is utilized to auction items to all interested parties. No sales outside of online auction are currently permitted. The recycled furniture contract is a UW-Madison contract that we may use. This contract is designed to offer University departments an alternative to buying new furniture. Furniture must be 95% or greater recycled with only connectors, electrical or other components being new only to complete an assembly or installation. To purchase refurbished furniture visit the Recycled Furniture page on the UW-Madison purchasing website.